The 7digital music store has been on Google Play for some time, but the app could never download music. Now there’s been a massive makeover of the app, which includes this ability, alongside a refreshed user interface. Click into an album and you can buy single tracks or the whole thing. 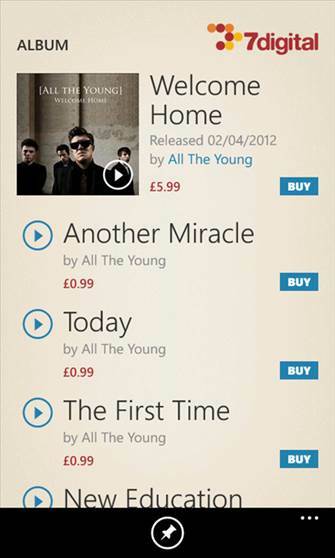 For those who already use 7digital, you will know that prices are very competitive. You do need to have an account with 7digital to use the app properly but this is easy to set up. Once you start downloading music to your phone (MP3 quality), your purchases are placed in a digital locker which you can access from any web browser. The problem with owning a smartphone is that you use data. And lots of it. Unlimited data costs big and you’re likely to have 1GB or less attributed to your contract. Some networks warn you if you’re near your data limit, but wouldn’t it be nice to know first? That’s where 3G Watchdog Pro comes in. It’s designed to take the sting out of predicting how much data you’ve got left. You need to create a user account and sign in and then you can track your data usage. The best thing is that not only can you track data usage by application but you can also see graphs of daily and weekly usage, and even export it as a .csv file to a spreadsheet. What’s more, the app also tells you whether it thinks you’ll go over your data limit by the time of your next bill, based on your daily usage levels. A widget sits on your homescreen to keep you informed. The app is also indispensable for frequent travellers, as you can track roaming usage. 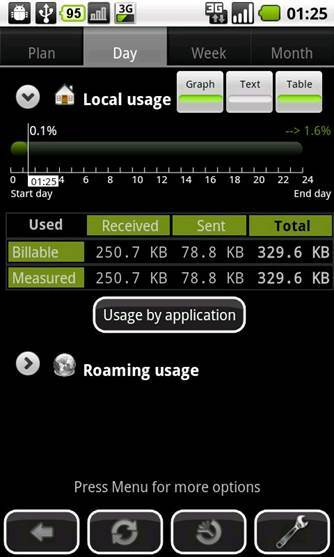 If you’re not sure you want to shell out, there’s a free version to keep basic track of mobile internet usage. Who says that blogging has to be done on a computer? With micro-blogging sites such as Twitter easily updated through your handset, it seems like a logical step that fully-fledged blogs should also be written and posted to from your phone. This is where the WordPress app comes in. To start off, you have to fill in the URL of your blog and your username and password. Once the admin is out of the way, you are given options to write articles and update them on your site. If you have more than one blog, don’t worry - just type in the relevant URL and password details. One you are inside, there are three tabs on the top: Comments, Posts and Pages. You can add a new post by clicking on the + sign. 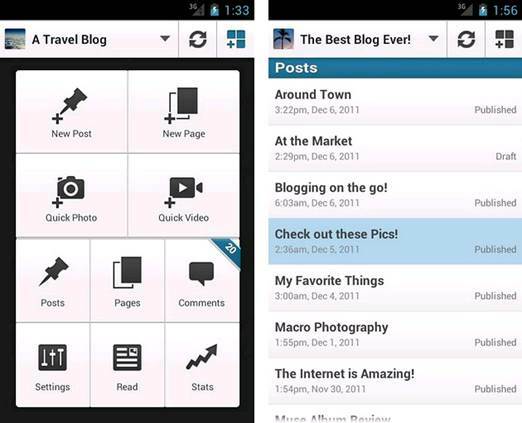 Here the post editor is familiar and you can also add photos. Once done, you can publish to the web or save for later. Blogging may not be as popular as it once was, but now that you can update straight from your phone, it may entice people to start putting the world to rights online again. If you are going to watch a YouTube clip on your phone, it may as well be in style - something the new-and-improved YouTube app has in spades. Resembling the desktop version of the site, the app does well to mask the limitations of watching and searching for video on a small screen. Click on a video and underneath you get a description of it and tabs for related videos and comments. Flick left and right to get to these categories. 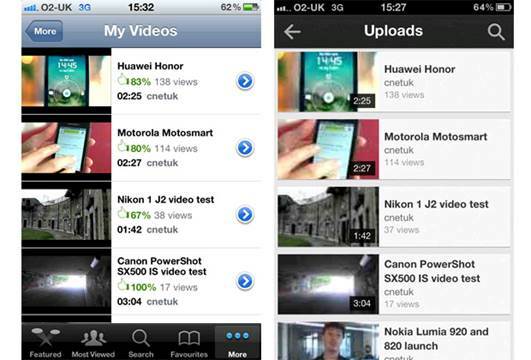 When you want to watch a clip, rotate the handset and it automatically goes full-screen. Double-click and you are back to the preview screen. You can choose the categories of the videos on offer and this brings you to another screen that you control by a finger flick. The ease of use of the new app has to be applauded and it seems that Google will keep this version regularly upgraded. This is because it is now available straight from Google Play and not just bundled with handsets. Provider of one of the most popular dictionaries on the web, WordReference now offers its app version tailored for much smaller screen surroundings. Offering translation dictionaries for European languages such as Spanish, French and Italian, there is also support for Japanese, Korean and Arabic. Once you’ve selected your choice of ‘English to’ dictionary from the menu section, you can simply type a word into the search bar to generate results. 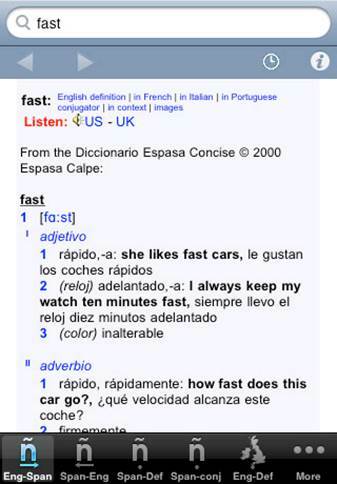 Trying out the English to Spanish dictionary, a comprehensive set of results is provided, which include translations for different Spanish dialects. As well as offering Compound Forms and pronunciations, you can perform an image search and look up the word in Dictionary.com and Merriam-Webster, via on-screen links. The lack of German support is sure to disappoint some, but the main criticisms lie in the lack of offline access and the inability for text to fit entirely on to the screen. Results provided, however, are extremely comprehensive and should serve as a great dictionary source. Yell.com is one application that does its job and does it well. As soon as you load up the app, it gives you a long list of categories to choose from, offering everything from plumbers to pubs. It works with the GPS in your phone, so it knows where you are when you want to search for things. 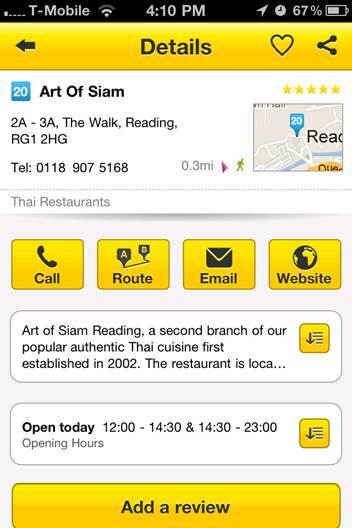 When you drill into any category, it takes mere seconds for the app to find location-specific information. It’s all very impressive. When it loads up information, it comes in the form of a list, which includes the name of the establishment, how far away it is and a phone number. There is also a link to a map, which rather than take you to Google Maps shows you the place on its own bespoke system. If you are looking for something that isn’t categorized, there is a search bar to help you look for whatever you need. 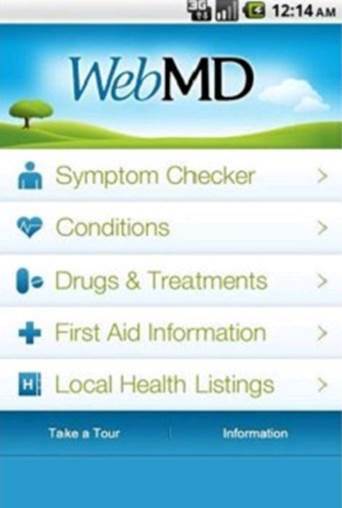 Medical diagnosis without a doctor - that’s what the WebMD app offers. With the NHS sometimes being more trouble than it is worth, it is always good to have a decent Android app that can help with medical queries. WebMD is one of the more succinct medical apps we have used. Going with the coda ‘better information, better health’, it manages to squeeze a lot of info about problems with the human body into an easy to use application. Options include a symptom checker, a list of conditions, some drugs and treatments, first aid information and a useful list of local health authorities. The symptoms checker is the best thing about WebMD. Click into this and you are shown a human body. Here you can click on the part that is causing you problems and the app asks questions then lists possible ailments. While you should always check with an MD, this is a great app if you get pain on the go and want to deal with it.